While many musicians can wring emotion out of their instrumental weapon of choice, there’s no denying that the most emotional instrument of all is the human voice. The song’s melody and lyrics mean nothing if the voice does not connect with the listener. A notable example would be Gospel Music – the soaring voices of a church choir can melt the heart of the most hardened atheist. However, the best example belongs to The Mystery Of The Bulgarian Voices, a female choir that has mastered the art of the voice… and I don’t use the word ‘art’ lightly here. The sounds these voices make are soul-stirring and heartbreaking in equal measures. 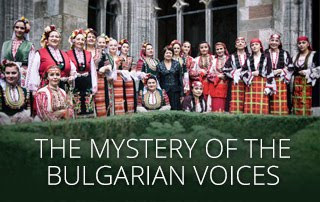 Formed in 1952 as the Bulgarian State Radio And Television Female Vocal Choir, they eventually changed their name to The Mystery Of The Bulgarian Voices – AKA Le Mystère des Voix Bulgares – and have since influenced generations of music lovers. One such admirer is a vocal legend herself – Lisa Gerrard. Lisa first gained fame as vocalist in 4AD semi-Goth outfit Dead Can Dance. She has since gone on to record a series of solo albums as well as working as a composer and performer on numerous film scores (Gladiator, The Insider, Whale Rider, Fateless, Black Hawk Down, etc.). However, for 2018’s BOOCHEEMISH, the student has joined forces with her Bulgarian teachers for their first studio album in over two decades. BOOCHEEMISH is a lovely album dripping with passion and emotion. Although she doesn’t appear on every track, there is no denying that the combination of Gerrard and The Mystery Of The Bulgarian Voices is perfect in every way. The voices on this album soar and swirl, dip and dive, and wrap themselves around the listener in ways that nobody could fully understand. If the most beautiful clouds floating gently across a crisp blue sky could communicate aurally, the joyful noise they would make would sound like BOOCHEEMISH. 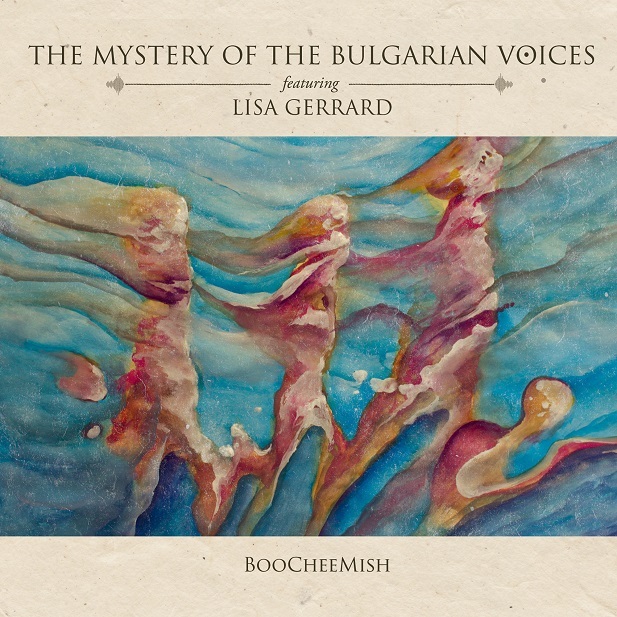 This is an album that will please fans of The Mystery Of The Bulgarian Voices and Lisa Gerrard as well as lovers of deep, emotional, beautiful music.